Ithaca, N.Y. – While businesses are the vehicle for delivering veterinary services and developing new lifesaving products, veterinary academia has largely ignored the business of veterinary medicine as a subject for teaching and research. The Cornell University College of Veterinary Medicine is taking a new approach by launching the Center for Veterinary Business and Entrepreneurship (CVBE), a new interdisciplinary program intended to spur research, training and outreach in veterinary business to improve animal healthcare. The CVBE focuses on four programmatic pillars: education, economics research, entrepreneurship and intrapreneurship. Through its educational program development efforts, the center will offer a variety of educational programs including a new DVM certificate program, as well as post-graduate executive education. 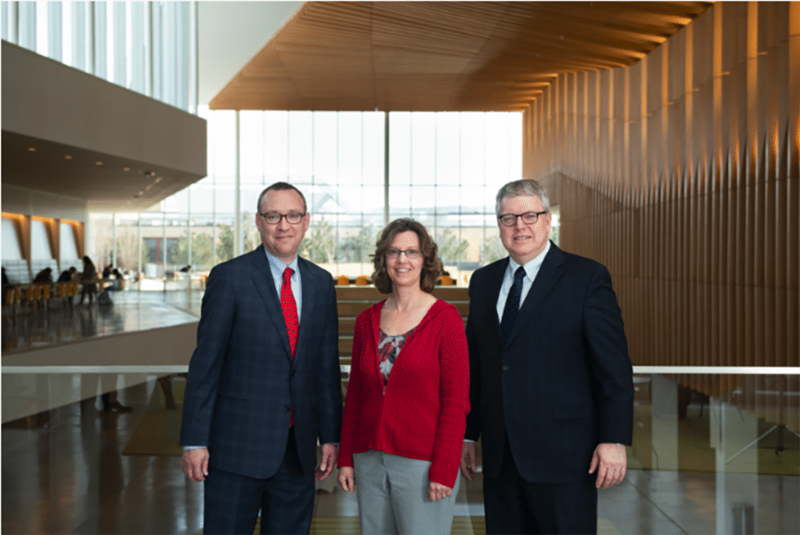 The center will establish a veterinary economics research program through a strategic faculty hire and collaborations with Cornell’s Charles H. Dyson School of Applied Economics and Management. Its entrepreneurship program will focus on creating a robust pipeline from scientific discoveries to commercialization, and intrapreneurship activities will focus on creating an environment that incentivizes and supports innovation and improvement. The educational programs will be delivered through interdisciplinary collaborations with the SC Johnson College of Business and a variety of industry and private practice partners. All veterinary students will be expected to demonstrate mastery of new core business competencies, while elective courses will offer students an opportunity to acquire higher-level competencies tailored to their career interests. Students who complete an eight-credit business pathway will receive a certificate in veterinary business management. As part of the CVBE launch, Cornell now offers two new business courses for veterinary students: Veterinary Practice Management, taught by Robert Karpman, professor of practice at the Charles H. Dyson School of Applied Economics and Management; and Agile Innovation, taught by Wesley Sine, professor at Samuel Curtis Johnson Graduate School of Management. Agile Innovation is an experiential course that integrates with the Cornell Animal Health Hackathon and teaches students creative problem-solving skills that can be applied to animal health challenges. Over time, business and management course offerings will grow. Karpman, who worked as an orthopedic surgeon and chief operating officer of a hospital before shifting to teaching business management to students in the life sciences, noted that these problems exist in both human and animal medical training programs. “This is a problem in a lot of professional schools,” said Karpman. “You learn the science side, you learn how to treat patients and diagnose their problems, but you don’t know how to manage a business.” Rather than learning through trial and error, the new center will help veterinarians build and contribute to effective practices right out of the starting gate, he added. Beyond benefitting individual veterinarians and practices, this kind of training has a more collective benefit.